Vintage Dance Night with live music in East London! Posted on 27th October 2016 by Claire Austin Posted in Voodoo Dolls	. Fabulous ballroom in Leytonstone with a huge dance floor and just 2-3 mins walk from the tube (Night Tube). 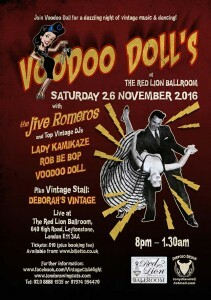 Live music from THE JIVE ROMEROS, plus 3 top international DJs – Lady Kamikaze, Rob Be Bop and your hostess, Voodoo Doll! Tickets only £10 (plus booking fee) – book online now. Posted on 11th October 2016 by Claire Austin Posted in Voodoo Dolls	. 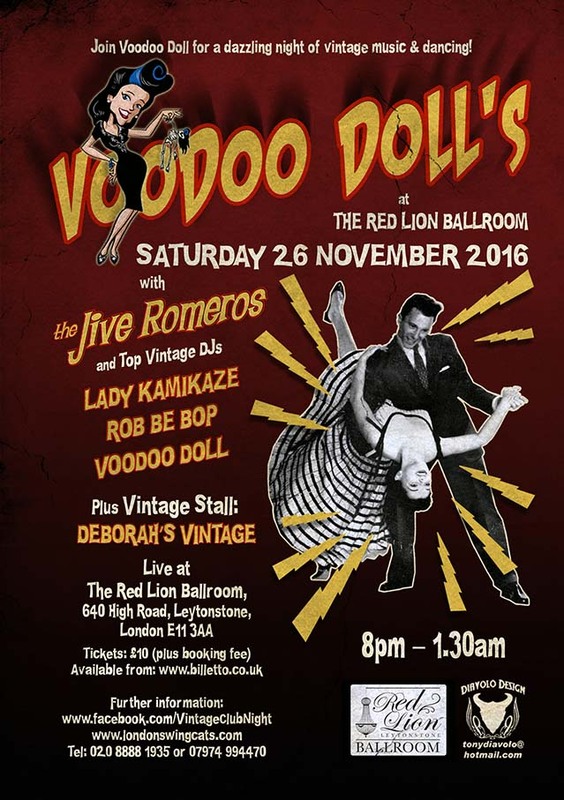 Join Voodoo Doll for a dazzling night of vintage music & dancing!